Heard scratching and squealing noises in the corner of our bedrooms. Through a recommendation from a friend we were able to contact Gotcha Wildlife. They put a one way gate where the mama raccoon entered from (the gate is able to restrict animals from entering but allow animals to exit). 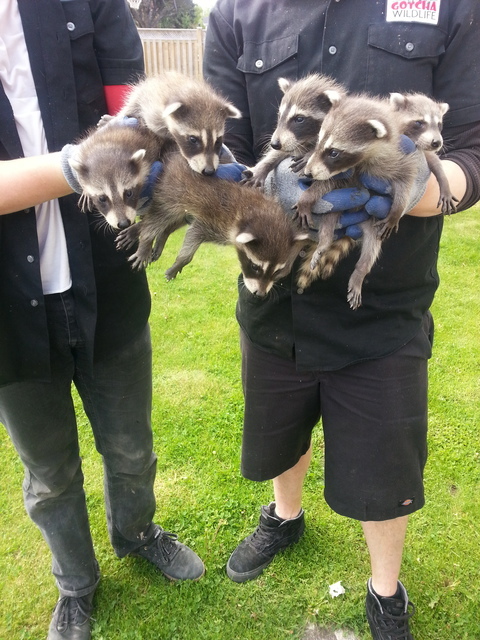 The workers physically removed 6 baby raccoons safely and were put in a cardboard box. The babies were left in our backyard for the mama raccoon to take later.